Robin Lindley is a Seattle-based writer and attorney, and the features editor of the History News Network (hnn.us). His articles also have appeared in Crosscut, Real Change, Documentary, Writer’s Chronicle, and others. He has a special interest in the history of medicine, and particularly in brain research history. His email: robinlindley@gmail.com. It seems that we read almost weekly accounts of the work of today’s neuroscientists who report stunning advances in our understanding of the brain and the nervous system as well as the hope of someday eradicating intractable diseases from Alzheimer’s and Parkinson’s to mental illness. Popular and academic interest in neuroscience has grown immensely in recent decades. Neuroscience has come a long way since about 335 BC when Aristotle surmised that the heart is the seat of mental processes. And even in the past century, since Dr. Santiago Ramon y Cajal identified the nerve cell, neuroscience has evolved from a branch of biology to a multidisciplinary science that now includes disciplines such as chemistry, pharmacology, computer science, psychology, philosophy, anatomy, physics, genetics, engineering, and more. In the not too distant past, researchers often worked in isolation and usually studied only one area of the brain but, with new technology, scientists now can monitor the entire brain and study the components of cells and subcellular structures as well as the processes of cell communication. 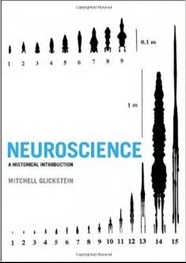 History is the best way to learn about the complex field of neuroscience, asserts renowned neuroscientist Dr. Mitchell Glickstein in his sweeping new book, Neuroscience – A Historical Introduction (MIT Press). Dr. Glickstein, has commented, “Neuroscience is a human creation. It is of value to understand how it came about.” His book delves into the science and serendipity through the ages that has led to discoveries about the brain and nervous system that provide the basis for our knowledge today. In his book, Dr. Glickstein carefully describes the structure and function of the brain as he explains how we’ve gained this knowledge. He explores the process of discovery from ancient times to the present, such as how physicians learned about brain processes by studying injuries; how scientists built on the neuroanatomical studies of nerve cells; and how experiments on the brains of other mammals and invertebrates advanced human neuroscience. Dr. Glickstein presents the history by beginning with an overview of the nervous system and nerve cells and then discussing specific topics such as electrical and chemical transmission in the nervous system; the senses; movement; memory; neurological disease; personality and emotion; mental illness; and consciousness. Dr. Glickstein’s book has been praised for its research, readability and deft introduction of the basic concepts and history of neuroscience, and as a valuable resource for general readers and neuroscientists alike. Neuroscientist Dr. Michael N. Shadlen commented: “Neuroscience by Mitchell Glickstein is a delightful mixture of the factual and historical underpinnings of neurology and neuroscience from one of the field's greatest scholars.” And neuroscientist Michael Gazzaniga wrote that he found the book, “Authoritative, highly readable, wonderfully illustrated, and just plain interesting. Students of neuroscience will finally learn where all those ideas and terms came from that we now use with regularity. Only Glickstein could have achieved all of this." 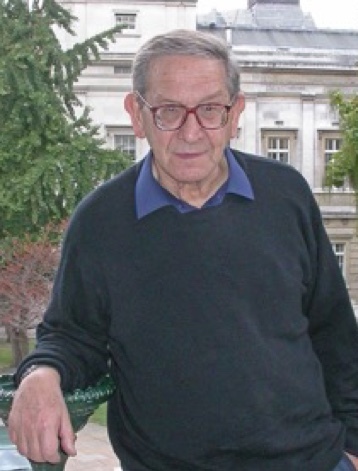 Dr. Mitchell Glickstein, an Emeritus Professor of Neuroscience at University College London, is a leading authority on neuroanatomy and the history of neuroscience. He has held research and teaching positions at Cal Tech, Stanford, University of Washington, Brown University, and Dartmouth College. He began his studies with Dr. Garth Thomas and Dr. Roger Sperry, Nobel Prize-Winning neuroscientist for his split-brain experiments. Much of Dr. Glickstein’s work has involved the study of the brain’s processing of visual information and the role of the cerebellum in vision and the sensory guidance of movement. Dr. Glickstein generously responded by email from London to a series of questions on his career and his new history of neuroscience. Robin Lindley: You’re an acclaimed neuroscientist. How did you come to write a book of history on neuroscience? Dr. Mitchell Glickstein: I have taught Neuroscience for many years. A historical approach seemed the most effective in helping students understand the field of neuroscience. The experimental and clinical foundations of the field are often easy to understand, and they make the current advanced textbooks more accessible. Robin Lindley: Rather than a strictly chronological history, you present the history in terms of structure, function and pathology. How did you decide on this approach? Dr. Mitchell Glickstein: There seems to me to be two historical approaches to teaching the history of neuroscience. What did we know in 1850? What did we know in 1860, etc.? Alternatively, the way I structured the book seemed preferable to me. Each scientist or clinician was most influenced by the previous ones within their field. The history may contain great gaps. In 1892 Cajal described in exquisite detail the structure of the vertebrate retina. It was a hundred years before physiologists had the methods with which they could begin to interpret the anatomical structure. Robin Lindley: Some people confuse neuroscience with the medical discipline of neurology and it actually involves much more. What is neuroscience and what do neuroscientists do? Dr. Mitchell Glickstein: Neurology is the medical specialty that deals with the diagnosis and treatment of patients with neurological disease. Neuroscience is the study of the structure and function of the brain and spinal cord. It is a basic science for neurology. Robin Lindley: You did many things before deciding to become a neuroscientist, including teaching history. How did you come to study and then work in neuroscience? Dr. Mitchell Glickstein: I graduated from the University of Chicago as a mediocre student with a completely unspecified bachelor’s degree. Pass fourteen exams and you have a B.A. What the University of Chicago did give me was a feeling that textbooks are not enough for learning. Virtually all of our reading assignments were to original sources. In the two years before entering graduate school I traveled and took courses at N.Y.U.in mathematics and psychology. I applied to Chicago graduate school in psychology. As a graduate student I had the feeling that many of the approaches to psychology were limited. Study of the brain seemed the main route for advancing the science. I was fortunate in having a job in my final year of graduate school with Garth Thomas where I began to learn about the brain. I was fortunate in being able to continue learning about the brain working at Cal Tech with Roger Sperry. Robin Lindley: What is some of your major work as a neuroscientist? Dr. Mitchell Glickstein: The central focus of my work has been in vision. How is vision processed by the brain, with particular emphasis on visual control of movement and the role of the visual input to the cerebellum in that control. Robin Lindley: Who do you consider the earliest neuroscientist in history? Dr. Mitchell Glickstein: Neuroscience as a discipline emerged as a combination of anatomy, physiology and pharmacology after the Second World War. But its roots go much deeper. In my book I show an Assyrian sculpture from the British Museum of about 600 B.C. A lioness is shown with a spear cutting across her spine. The hind paws are obviously paralyzed; the front paws are not. The sculptor was not a neuroscientist, but was a careful observer. Robin Lindley: What traits do you think the greatest neuroscientists share? Dr. Mitchell Glickstein: As a model, I think of other areas of biology; best is Charles Darwin. He combined years of careful study of animals and plants culminating in a profound insight. With Darwin as the standard, the great neuroscientists share these traits to a greater or lesser extent; perhaps a few hundred milli-darwins. Robin Lindley: What are a few things historians should know about neuroscience, especially in terms of learning and memory? Dr. Mitchell Glickstein: There are often false starts and over-interpretation. Scientists may claim more than they should. The early behaviorists, for example, made useful contributions to understanding of learning, but were over-confident in the explanatory power of their science. John B. Watson derived a system of child rearing, which in retrospect borders on the silly. Robin Lindley: There are some persistent myths about the brain including the idea that we use only ten percent of our brain capacity. What’s the reality that neuroscience has revealed? Dr. Mitchell Glickstein: A myth indeed. Some of it comes from the remarkable functional recovery people may make after brain injury. The brain does not re-grow, but lost function may return. This plasticity is most striking in children. A small child who loses an entire left hemisphere, may yet develop normal speech. There are other myths. Neuroscientists often solemnly stated or wrote that the cerebellum is not necessary for normal movement because people may be born without a cerebellum, develop normally, and are discovered only at autopsy to lack a cerebellum. Also a myth. Robin Lindley: What is neuroplasticity and how did scientists learn about this remarkable brain process? Dr. Mitchell Glickstein: Neuroplasticity is a general concept relating to the fact that the brain is organized to learn. Plasticity refers to the mechanism of what happens at a cellular level in the brain that is associated with learning. Robin Lindley: It seems brain function is often discovered as the result of brain trauma. There’s the famous frontal lobe injury suffered by Phineas Gage in the nineteenth century that led to better understanding of the brain’s role in memory and personality, and you describe Dr. Tatsuji Inouye’s study of bullet wounds to the brain during the Russo-Japanese War to determine visual loss. What are some examples of important discoveries about the brain from injury that impressed you? Dr. Mitchell Glickstein: There are many. The early Greek physicians, for example, knew that a head injury may result in loss of function on the opposite side of the body. My book has other examples. For example a patient with unquenchable thirst after head injury, and a woman without fear with the absence of a particular brain region. Robin Lindley: You’ve said that Dr. Santiago Ramon y Cajal may be the most important neuroscientist in history. What did he do and why is his work so significant? Dr. Mitchell Glickstein: Camillo Golgi had discovered the silver based staining method that is named for him. Cajal used the method to describe in remarkable detail the cellular structure of the brain and spinal cord. His textbook, published over a hundred years ago, first in Spanish, then in French and lately in English remains the standard for detailed description of neural structure. He coupled this work with a deep intuition about how nerve cells connected to one another. Robin Lindley: Was Dr. Ramon y Cajal’s work the foundation for the discovery of neurotransmitters? Dr. Mitchell Glickstein: Not directly. Cajal argued forcibly that neurons may touch one another, but that they do not fuse. He thus raised the question of how they communicated. It was progress in the pharmacology of the autonomic nervous system that led to modern understanding of the role of transmitters in linking neurons to one another and to muscles. Robin Lindley: You were a colleague of Dr. Roger Sperry, a Nobel Prize-winning neuroscientist who is famous for his split-brain experiments. What did his research show and why are his findings so important for neuroscience today? Dr. Mitchell Glickstein: Before the work in Sperry’s lab there was no evidence that memory could be localized to a particular region of the brain. Ronald Myers, working with Roger Sperry in the 1950s, showed that a memory trace can be formed in one side of the brain, and remain inaccessible to the other. Based on these discoveries, Mike Gazzaniga, also working with Sperry, explored the independent capacity of each human cerebral hemisphere. Robin Lindley: You are an expert on vision and movement. How does the brain process visual images and how did we learn this? Dr. Mitchell Glickstein: By the beginning of the nineteenth century the location of the primary visual area in the human brain was established. The next phase in understanding were due to clinical studies by physicians like Tatsuji Inouye and Gordon Holmes who studied blindness within the visual field caused by brain injury. Experimental study of the response of single neurons in the primary visual cortex, especially that of David Hubel and Torsten Wiesel, began to uncover the cellular basis of visual processing in the primary visual cortex. 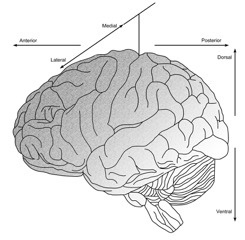 But there are vast areas in the parietal and temporal lobes that are involved in further processing of vision. Semir Zeki was a pioneer in showing the number of these visual areas, and the nature of the responses of the cells within them. Robin Lindley: What are a few things neuroscientists are learning now that may be helpful in addressing diseases such as dementia and mental illness? Dr. Mitchell Glickstein: I believe that the next generation will see major advances in the understanding and then the treatment of neurological and psychiatric diseases at a cellular and molecular level. There are insights from the study of patients that one small mutation in one gene can lead to a devastating neurological disease. Understanding at that level may help to suggest mechanisms for treatment. Robin Lindley: Who are your inspirations as a neuroscientist and a historian? Dr. Mitchell Glickstein: I remain an avid consumer of popular history in books and TV. Most influential for me in the history of science are former colleagues. Harry Patton was chairman of the Physiology Department at the University of Washington. His lectures to the medical students were inspirational for me. He didn’t teach simple textbook physiology. He taught not just what we know, but how we know it. What were the clinical and scientific studies that led to our current understanding of brain function? Robin Lindley: There’s a sense that we’ve learned more about the brain in the past two or three decades than in all the previous centuries. What’s your sense of the arc of where neuroscience has been and where it’s headed? Dr. Mitchell Glickstein: Neuroscience has gone from a study of structure of the brain and spinal cord and the nature and connections of the cells within it. The next major advances will be at the molecular level; understanding the molecular basis of disease, and suggesting routes for dealing with them. Robin Lindley: Is there anything you’d like to add for readers about neuroscience and history or anything else? Dr. Mitchell Glickstein: Neuroscience is a fascinating branch of biology dealing with the nature of human sensation, movement and thought. But we are far from understanding it all. Now, as in the past, some will claim more authority that they may not deserve. It is important to distinguish established facts and principles from those that are more speculative. Robin Lindley: Thank you Dr. Glickstein for your thoughtfulness and for your new history of the marvelous world of neuroscience.